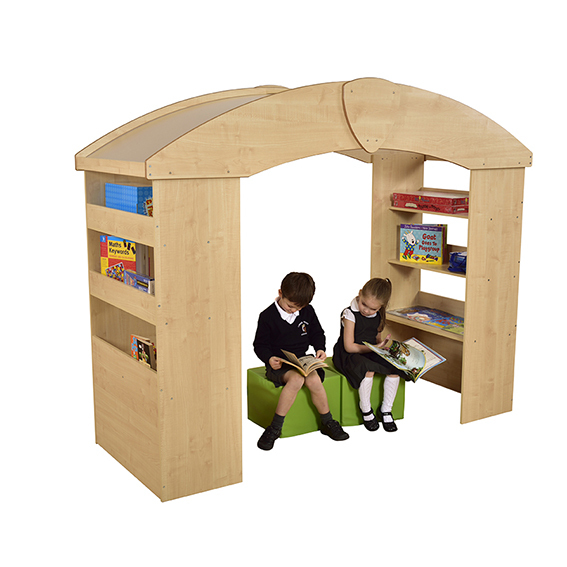 Reading dens encourage children to read and learn – our brand new Maple Reading House is a great way for children to lose themselves in their very own private reading and work area. Features two work desks (desk height 450mm can – be used as shelves if preferred) (enough space for 2 chairs on each side) and 4 book storage shelves from where they can store and choose their favourite books. The Reading House has an opaque Perspex roof. Edges are rounded and polished. For up to four children. Green pouffes are sold separately.